Down player attempts to get through a bunch of Kerry players during the Kerry v Down All Ireland Senior Gaelic Football Final, 22nd September 1968. 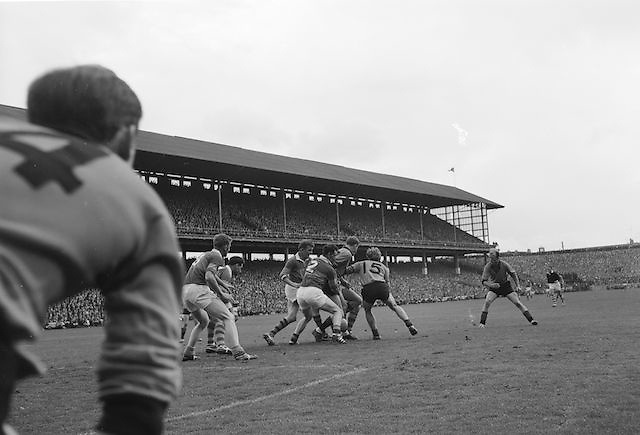 Down's J.Purdy tries to get the ball through the tangle of Kerry backs during the All Ireland Senior Gaelic Football Final Kerry v Down in Croke Park on the 22nd September 1968. Down 2-12 Kerry 1-13.